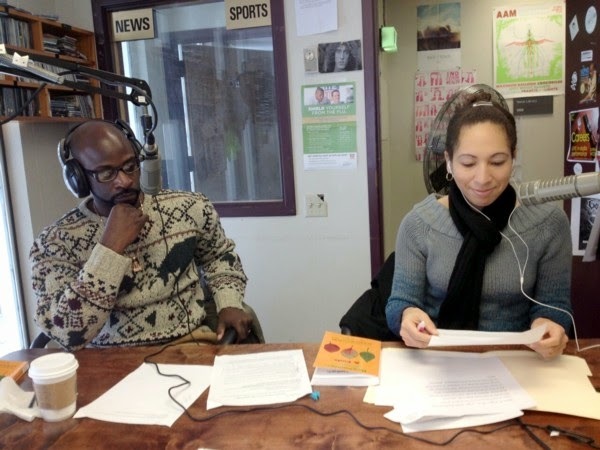 Lamar Romeo and Alyssa Lotmore in The Social Workers radio studio. The Social Workers Radio Talk Show is a great resource from the University at Albany School of Social Welfare. It is a weekly radio show hosted by social work faculty Alyssa Lotmore, Eric Hardiman, and others on topics of interest to social workers and/or on social issues. "Read this book after hearing Ogden Rogers on a University at Albany radio station. His interview was amazing and when I read the book, it was even better than expected. Will definitely share with co-workers." The interview is approximately 36 minutes. Enjoy! Rogers' book, Beginnings, Middles, & Ends: Sideways Stories on the Art & Soul of Social Work, is available in print and Kindle formats at Amazon.com. It makes a great gift for any social worker or future social worker. Jonathan Singer of the Social Work Podcast is a fantastic host as he presents Ogden Rogers in a reading of six excerpts from his book, Beginnings, Middles, & Ends: Sideways Stories on the Art & Soul of Social Work, accompanied by Jonathan's commentary, musical background, and sound effects. Ogden's reading of these stories might make you laugh, cry, smile, or think just a little bit. The podcast is just under 25 minutes and well worth every minute of your time. You won't want to miss this! In today's social work podcast, we're looking at the beginning, middle, and end of social work. No, this is not an apocalyptic tale of burning towers of progress notes and zombie utilization managers... although that does sound kind of interesting. No. Today’s episode is much more innocent than that. Ask any social worker, first year undergrad or emeritus professor, “what are the most basic phases of social work?” They will tell you: beginning, middle, and end. In today's Social Work Podcast we hear excerpts from a collection of poems and short stories called Beginnings, Middles & Ends: Sideways Stories on the Art & Soul of Social Work, written by Ogden W. Rogers, Ph.D., LCSW, ACSW, Professor and Chair of the Department of Social Work at The University of Wisconsin-River Falls, and published in 2013 by White Hat Communications. Ogden has written a beautiful little collection of stories from his 30 years of social work experience. Of the 99 stories in his collection, we’ll hear six, two each from Beginnings, Middles, and Ends. Beginnings, Middles, & Ends is available at Amazon.com in print and Kindle formats. It is also available from White Hat Communications and other bookstores and ebookstores. Visit the Social Work Podcast site for more of Jonathan Singer's very informative social work podcast series.